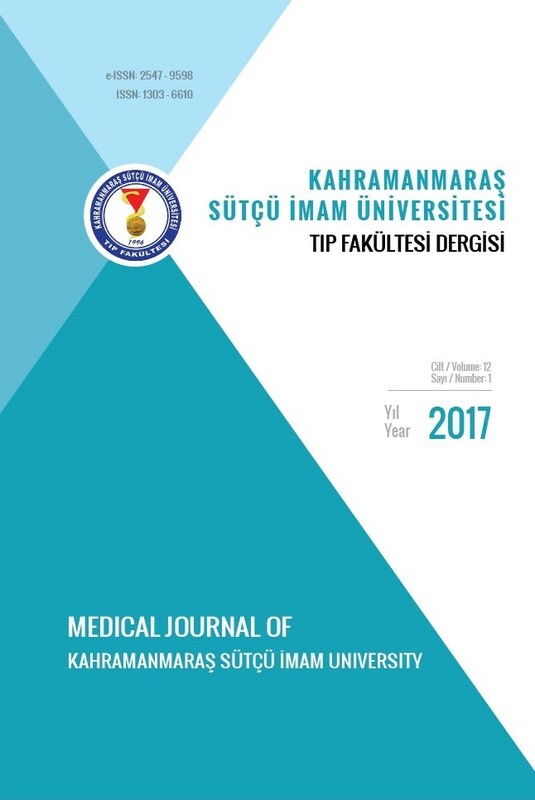 Mesanenin inguinal hernisi, inguinal herni vakaların yaklaşık % 1-3'ünde görülen bir durumdur. Çoğu asemptomatiktir, ancak dizüri, ani ve şiddetli idrar yapma isteği, noktüri ve hematüri gibi semptomlar da görülebilmektedir. Bilgisayarlı tomografi, herniasyon detaylarını detaylandırmak için en iyi görüntüleme seçeneğidir. Bu çalışma, inguinal mesane herniasyonu için acil hekimlerini bilinçlendirmeyi ve yanlış tanıyı önlemeyi amaçlamaktadır. Urinary bladder presenting as an inguinal hernia is an uncommon condition found in about 1-3% of inguinal hernia. Most are asymptomatic, but symptoms such as dysuria, urgency, nocturia and haematuria can be seen. Computed tomography seems the best imaging choice to outline the details of herniation. This study aims to raise awareness for emergency physicians for the inguinal bladder herniation and to avoid misdiagnosis. 1. Bacigalupo LE, Bertolotto M, Barbiera F, Pavlica P, Lagalla R, Mucelli RSP, et al. Imaging of urinary bladder hernias. Am J Roentgenol. 2005;184(2):546-51. 2. Madani AH, Nikouei HM, Aval HB, Enshaei A, Asadollahzade A, Esmaeili S. Scrotal herniation of bladder: a case report. Iran J Med Sci. 2013;38(1):62. 3. Khan A, Beckley I, Dobbins B, Rogawski KM. Laparoscopic repair of massive inguinal hernia containing the urinary bladder. Urol Ann. 2014;6(2):159. 4. Abaza R, Rashid MG, Sferra JJ. Obstructive uropathy from giant inguinal bladder and ureteral herniation. J Am Coll Surg. 2005;201(2):314. 5. Wagner AA, Arcand P, Bamberger MH. Acute renal failure resulting from huge inguinal bladder hernia. Urology. 2004;64(1):156-7. 6. Shelef I, Farber B, Hertzanu Y. Massive bladder hernia: ultrasonographic imaging in two cases. Br J Urol. 1998;81(3):492-3. 7. Andaç N, Baltacioǧlu F, Tüney D, Çimşit NÇ, Ekinci G, Biren T. Inguinoscrotal bladder herniation: is CT a useful tool in diagnosis? Clın Imag. 2002;26(5):347-8. 8. Bernaerts A, de Beeck BO, Hoekx L, Parizel P. Paraperitoneal indirect inguinal bladder hernia: MR demonstration. Abdom Imaging. 2005;30(6):685-8.